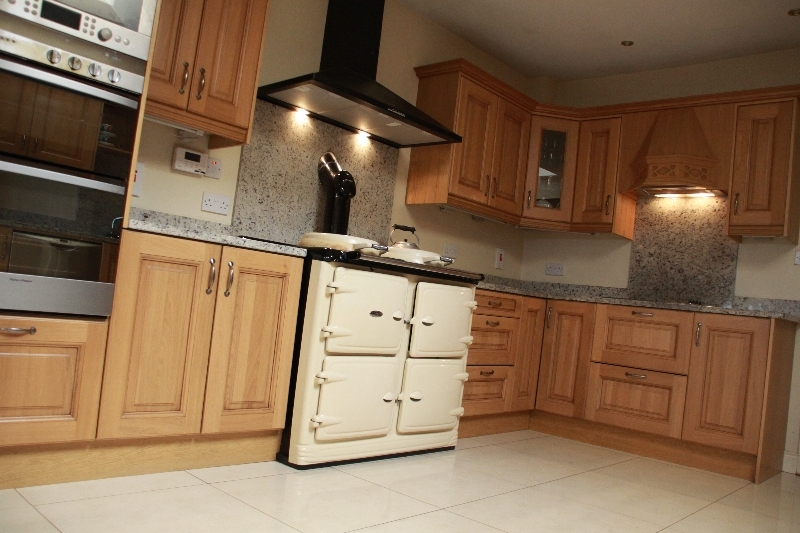 Browse through our selection of Kitchens below. 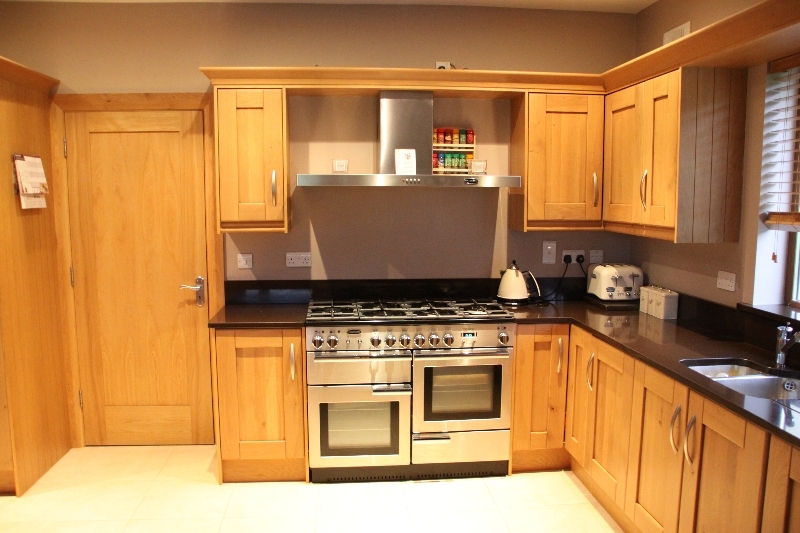 A modern high quality kitchen with a plain shaker designs. 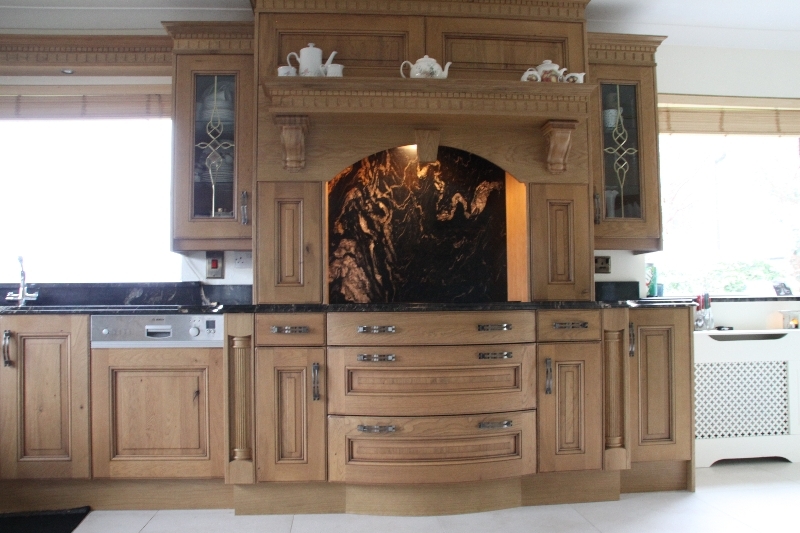 A traditional Oak raised panel clear lacquered kitchen. 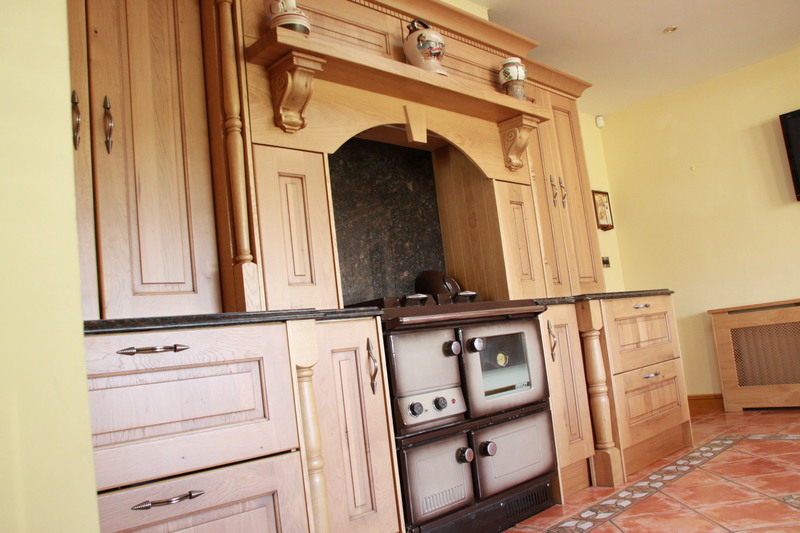 A high qualiry classic kitchen which never dates. A high quality Character Oak kitchen mixed with a selection of added unique features coupled with a superior quality worktop. 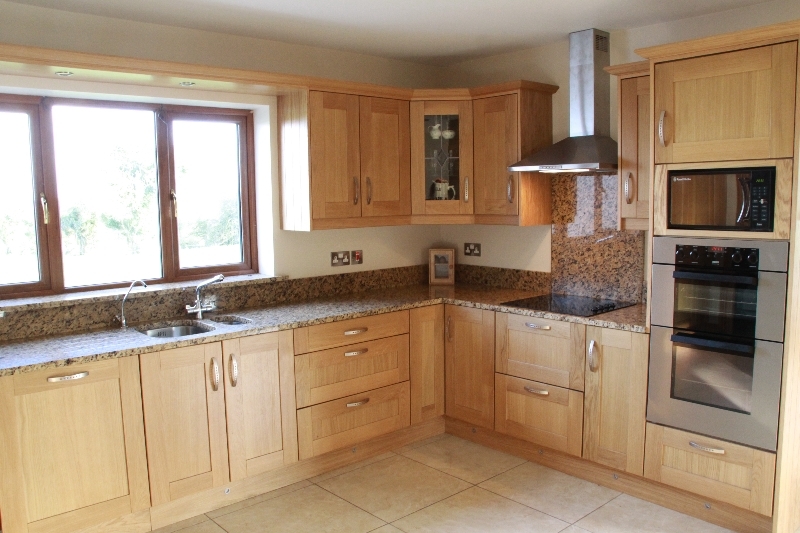 A raised panel Shaker style kitchen with more character than the White Oak Shaker. 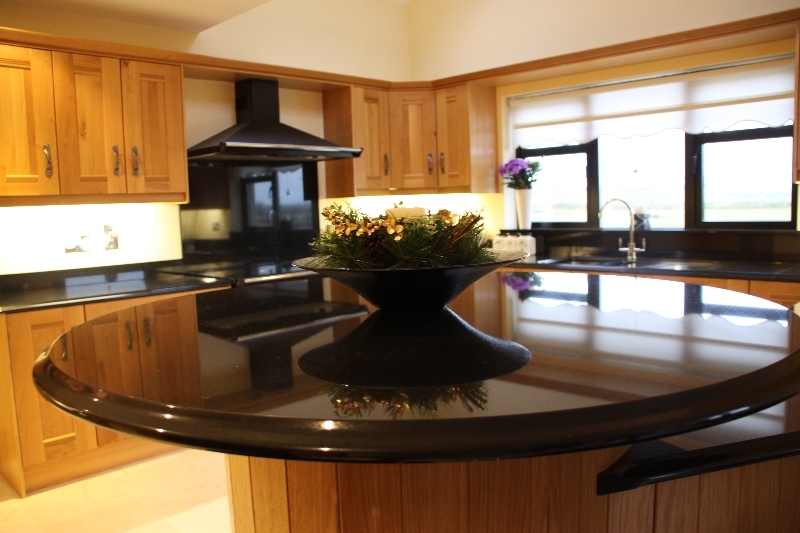 A Character Oak kitchen with a real modern twist mixed with a gold galaxy worktop. A Shaker style kitchen with more character than the White Oak Shaker. 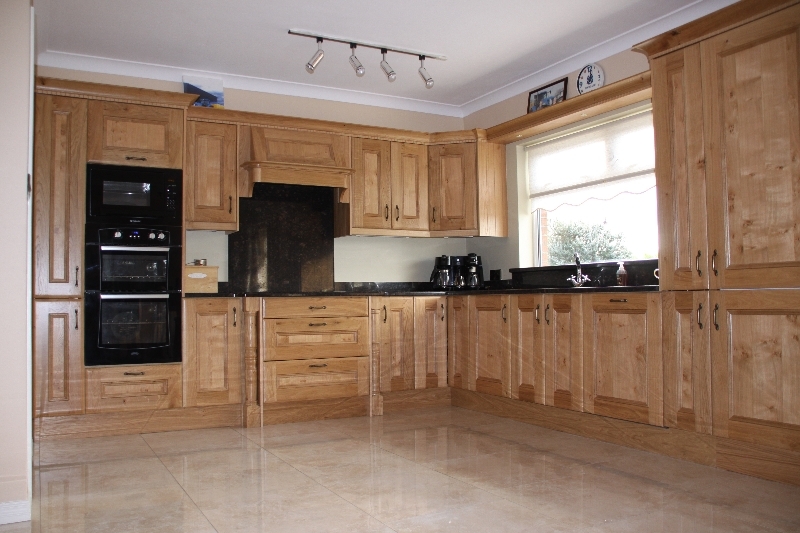 A high quality Solid Oak kitchen with a bolection mould within the door which gives great character to the kitchen.